There are certain rules to follow when packing any kind of electronics for international shipping. Here is a step-by-step guide to ensure your electronics are packed in a way that adhere to the regulations and will see your shipments delivered with ease. The best place to start is by reading your user’s guide for the equipment. The guide should include information about the safest way to move your specific item. If you no longer have the user’s guide check the manufacturer’s website for the online version or contact information to request a replacement copy. Remove any objects usually placed inside the equipment such as toners, inks, DVD’s, CD’s Discs, and tapes. If possible, use the original box and packing materials. 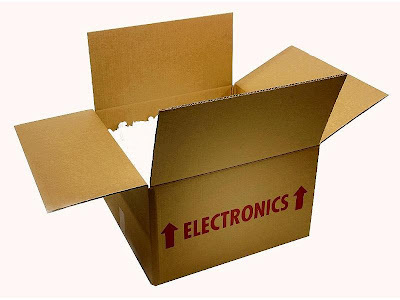 You can also use specialist electronic packing boxes from couriers or the manufacturer. Sticky coloured labels need to be used to secure the connection ports. Ensure the labels are large enough to write on. Colour coding the wires with the associated ports helps you to reconnect the equipment easily when unpacking. If you do not have coloured labels to hand use a numbering system. Write down step-by-step instructions if the system set up is particularly difficult for some extra protection to ensure the correct procedures are followed when setting up. Use twist ties to secure the cables and then place the cables into a zip lock bag to prevent unravelling during shipping. Tape the bag of cables onto the equipment to ensure it stays together. Packing materials will help to prevent shock damage during transportation. When moving electronic items you must uses antistatic materials that don’t conduct electricity. Individually wrap all of the individual parts, ensuring nothing is still connected, and secure the anti-static packing material protection with tape. Place the biggest part of the equipment on the bottom of the box, pad any holes with additional antistatic packing material and place the smaller items on top. Seal the box with strong packing tape and indicate which end of the box is up. You should also mark the box as fragile and give an indication that electronics are inside. Ask your international couriers about the shipment of any sensitive media. Some Software can become damaged due to high temperatures so you may wish to transport the CD’s by hand rather than in a moving van. There are ten important factors to consider when you are using international shipping. If you’re moving home, sending a gift or transporting stock these ten packing tips will ensure the order runs smoothly from start to finish. Start with checking the packaging – Are they strong enough and suitable for the journey? Check the seals of the packaging – Make sure the seals are secure. Use an appropriate packing material inside the box or container to protect the goods. Check to see what information must be added to the outside of your packages. Establish whether you have a deadline for the package to be delivered by. Complete any required paper work required by your international couriers. What are the delivery instructions? Is it possible to leave the package with a neighbour or outside the front door or does the package need to be signed for? If you would like to track the progress of the delivery, choose a service that provides the information you need. Would you like to be able to confirm delivery? Will you require insurance for the shipment? This may seem like a lot to do but providing you use reliable and efficient international couriers, you will be helped along the way. Legal League Royale International Group, one of the largest independent global courier provider, today announced its support to the Legal League Hong Kong. Hong Kong was established in 1992 as a nonprofit organisation and is managed by a core, team-elected group of like-minded, passionate individuals. They also play with a social conscience and help support Hong Kong Dog Rescue (HKDR) - a charity dedicated to rescuing, rehabilitation and finding a loving home for abandoned and unwanted dogs. For more information on Royale International, please visit our website and Facebook. The thought of moving all of your belongings abroad with you may seem like a huge task but you have some amazing money saving options to consider. Don’t pay more than you need to on storage, hotel stays or furnished accommodation, simply follow our suggestions and have everything you own with you in your new home. When considering your options take the time to establish your budget and compare the costs and suitability of your options. Look into the price of furnished properties, hotels, replacing your belongings as well as shipping costs for your current belongings. You may be shocked to learn that moving all of your belongings overseas can be a lot cheaper than renting a furnished flat or house. Using the cost effective air freight option your belongings can be delivered to your new home quickly and efficiently. This is a cost effective service that won’t leave you without your belongings for extensive periods of time, a common downside of using sea freight. When you pack up it’s still worth downsizing to a point. A clear out is always a great start to a new life and it can lead to a clean and clutter free move and unpacking. It’s always worth taking a look at all those items in the attic or basement to start with. If they have no emotional meaning for you, and you have not made use of the items for over one year, it’s time to sell them on or find them a new home. If you’re a student moving overseas to study be sure to take advantage of our current money saving deal designed just for you. Find out more about our special offers for students and other international logistic services by calling our 24 hour hotline on +852 2218 5888. Carry-on luggage allowance can be a bit of a pain and cause many delays in the airport. The problems start when passengers fail to pay attention to the clear limits that clearly stated by the airlines. With so many items on your packing list, it can be difficult deciding what you can leave behind, and sometimes this can lead to forgetting the rules. To help you avoid those awkward and frustrating hold ups on your next flight here are the general rules regarding carry-on bags size and weight allowance. Make sure your carry-on luggage needs to measure a maximum of 115cm. To check your bag is the right size you need to measure the length, width and the depth of the bag, add them all together and check it’s less than the allowed 115cm. Remember to include the handles and the wheels when measuring. Some airlines will allow you to take a handbag, laptop bag or a briefcase in addition to your carry-on bag. Check with your airline about additional permitted bags. As International Couriers, we have to ensure they are fully aware of the carry-on limits when providing the hand carry service to our customers. The rules of the airlines cannot be ignored; however, we will always find a way to deliver your order. We currently have a special offer for students moving to their brand new Universities and colleges; email our team on info@royaleinternational.com to find out more. The new blockbuster movie, Premium Rush hit cinemas on August 24 in the USA and Canada and is set to be a worldwide hit. The film stars Joseph Gordon-Levitt who plays Wilee. Wilee is considered to be one of the best and most aggressive bicycle messengers in New York City. This is a high paced filmed based on the lives of everyday messengers that use their amazing cycling skills to deliver urgent packages and documents all over the city. However, Wilee’s last document of the day should just be another typical premium rush, but it turns into something more deadly that will get your heart pumping as you watch the messenger bike for his life through the streets of Manhattan. This movie is has been highly anticipated by the Royale International Group. Our Time Critical delivery service depends on the speed and accuracy of our couriers how have a mission to deliver all your urgent items as quickly as possible. While we don’t have to worry about death chases, our couriers have to battle crazy traffic, millions of pedestrians, the hectic cabbies in as much of a hurry as they are, and that’s even before your urgent deliveries take to the skies. If you have a premium rush request contact us on our twenty-four hour hotline on +852 2218 5888 and ask about our Time Critical delivery service, our couriers are waiting for their next mission. There are so many things that need to be done when starting college; it can be easy to become overwhelmed. Why not use our helpful list of things to do that are designed to help you cope with the transition and feel more confident and in control during this often chaotic time. Finances are often the biggest cause of concern so why not sort them out as soon as possible. Make sure you know when your deadlines are for any financial aid applications such as grants and student loans. Acquire all of the information you will need and send it off as soon as you can so that any problems with the application can be dealt with in time for the move. It’s also a good idea to open any new bank accounts you may need. What do you need for your course? There will be things you need to acquire for college such as books and computer equipment as well as stationary and bags. Make a list of everything you need for the course and begin shopping or sourcing each item so you purchase the best deals once your finances come in. What do you need in your accommodation? Check to see what items you will need in your new home and also consider what clothing and any other home comforts you are going to take with you. Use affordable international couriers to help you ship the larger items that will not fit in your car or on the train and arrange them to be delivered in time for your arrival. Get in touch with your new roommate and start building your relationship early on. It’s always good manners to have a quick introduction before you meet face to face. Work out your monthly budget and try to stick to it to reduce the risk of running into financial problems. Establish how much you have to spend on food and other essentials as well as entertainment, clothes and books. You may discover that you’ll need to find a job in which case you can start the hunt and application process early on. We offer affordable international logistic services and are currently running the SSA special promotion for students offering fantastic discounts. If you would like us to help with your move and save money simply send us an email to info@royaleinternational.com. Heading off to start college for the first time is always a huge event for both children and parents alike. Making a list of all the new items your child will need in their new place. Think about kitchen equipment, basic furniture, study equipment and items such as televisions, radios and alarm clocks. One you have the list you can work out what you will need to purchase and what’s already available from you home. Help your child by offering your assistance with the packing up and transportation. While many teenagers are working to be independent at this stage knowing you are there to help if the going gets tough (once they see how large a job they have on their hands) will be hugely appreciated. Driving your children to campus certainly helps parents ensure their child is relaxed and settled and safely settled in. It can be tempting to hang around longer than necessary but it’s recommended that once your child is in that all parents say their goodbyes so as to not intrude on the college schedule for new arrivals. Surprise them by creating a care package for when they arrive in their new digs. Fill a box with all of their favourite treats such as sweets, food, some extra money or perhaps some new clothing, a soft blanket and a photo of the family. Small touches like this will certainly raise a smile and may be welcomed as they go through the adjustment period. If you have large or bulky items we have an affordable and reliable domestic and international courier service. Let us help you and your child start off on the college adventure on the right foot. TYPHOON TEMBIN is currently lashing the South and West of Taiwan. All schools and businesses in the area are closed today at the instruction of the government. Businesses in the north are still operating at this time but it is expected that some will close and there is the possibility of delays to collections and deliveries. The current status and track of TYPHOON TEMBIN is that it is expected leave Taiwan this afternoon heading towards the Philippines. Royale International will keep you updated. Moving in your own country is stressful enough, so when you decide to move overseas you can find yourself with a list of things to be endless. However, there is no need to feel overwhelmed. Just by getting organised and working through the list you can find that each day you feel more and more prepared for the changes heading your way. You will need to ensure you have the correct work permits in place and also be prepared to make negotiations over the phone or via email. Sign up for local paper subscriptions, join job agencies and upload your CV to multiple job sites in your new country of residence. If you have family or pets you will need to find local schools, doctors, dentists and vets. You will also have to ensure your animals have up to date vaccinations and passports if applicable. Some animals may need to be quarantined for several months so it’s a good idea to talk about this with your children so they are emotionally prepared for the upcoming events. If your pets are not allowed into the country you will need to find new suitable homes and give your family time to say their goodbyes. 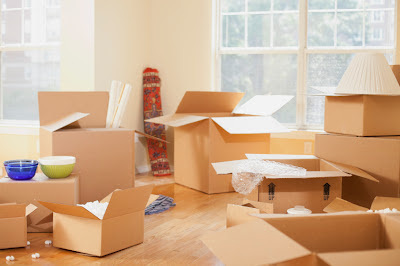 Relocating will require you to pack up and move all of your belongings. Sort out what you really have to take and them sell off, store or give your other belongings to charity. Use international couriers to transport your goods safely and on time. Learn about the culture and prepare yourself with as much knowledge as possible. Many people experience a culture shock that can lead to feelings of disorientation, and homesickness due to their new unfamiliar environment. Send time reading local news, watching the news and preparing the whole family for their new environment to help reduce the impact of culture shock once you have moved. Remember if you would like a free quote on our international logistics services just give us a call on our free 24 hour hotline: +852 2218 5888. Once you have decided to relocate you will need to start making decision on that needs to come with you, what to buy once you arrive and how you will transport your belongings from one side of the world to another. Here are some useful tips to help you prepare and arrange your move as quickly and easily as possible. Try to downscale as much as you can before the move, taking only the essential items such as furniture and belongings with sentimental value, and of course the things that are too expensive to replace or not available in your new home. It’s always a good idea to work out your budget for moving. You can easily request free quotes based upon the weight of your bulk shipment from Royale International. You can also ask about necessary customs forms and packing materials as well as the items can and cannot be delivered due to the restrictions of different countries by sending an email to info@royaleinternational.com. Consider what items may not be permitted in your new country of residence and whether the climate might have negative effects on your valuable items such as art and antique furniture. Check to see if your selected items of furniture and belongings will be able to fit into your new accommodation. Make a draw plan and measure your items to check their dimensions will work. Some of your larger items may need to go into storage or with friends and family if you are planning to return or move to a larger property in the future. Alternatively you could sell it off and put the money into the move or replacement of more suitable sized furniture in your new location. For more information on the types of international courier services available, call our free hotline on +852 2218 5888, open 24 hours a day, 7 days a week. Typhoon Kai Tak was the 13th Typhoon to hit China this year. With strong winds and heavy rains predicted many train services were halted and fishing vessels were ordered to return to harbour. The Hong Kong airport was also informed that their flights might be affected and passengers were warned of delays. When Kai Tak swept across Vietnam hitting land on July 17 2012, at least twenty seven people have been reported to have been killed, thousands of people have been left without homes and many of the fields and farmland have been left destroyed. In Hong Kong, Typhoon Vicente caused the authorities to issue a hurricane warning for the first time there since 1999. Hong Kong was subjected to winds of up to 87 miles and hour, injuring more than one hundred people and causing ferry, bus and train services to be cancelled. Flights were also affected even after the warning was downgraded, with 44 passenger flights cancelled and over 250 flights were delayed. Even in severe weather our couriers will continue to ensure your orders are shipped and delivered on time. As the clean up continues international logistics will be running behind the scenes delivering vial equipment, food and tools all over the country and the word. Fastest transit times achieved thanks to our point-to-point deliveries and a greener alternative thanks to lower fuel emissions. Efficient services on a global scale achieved through the excellent maintenance of operations management systems including: inventories, drivers and fleets of trucks, distribution centres, warehouses, cost efficiency. Access to all the information regarding orders, inventories and online tracking giving all customers complete transparency on all data. If you would like to team up with International Couriers visit our Royale International Group website or call the hotline on +852 2218 5888. The Royale International Group has many excellent international courier services to choose from. We offer many services mean that all circumstances can be dealt with in the most cost effective and beneficial way to satisfy your requirements. One of the services designed to tackle urgent situations is the Next Flight Out service that is available for everyone. The Next Flight Out service will ensure your shipment is delivered in the shortest timeframe possible. Our team of experts will work hard to ensure your order is on the next available flight heading to the destination of your order. This is a door-to-door service without any unnecessary delays and is available all year round, including weekends. The Royale International Group will do everything possible to ensure your order is cleared through customs by monitoring each individual shipment. If you would like to find out more about the Next Flight Out Service or any of the international logistic services provided by us please email: info@royaleinternational.com for help and advice. Simply submit the form and one of the sales representatives will respond promptly with a quote allowing you to see the costs before committing to the International courier services. Alternatively, you can call the sales team or get in touch with your local office for assistance. Here at the Royale International Group we are known for our simple logistic solutions such as the track and trace options offered to all of our customers. When you choose to use any of our International Logistic services you will be able to trace your order once it has been collected and you’ll receive real time updates as your order moves across the world. You can find out the information you need via email, SMS and online. When you use the International Couriers tracking facility via the Royale International Website you can either use your waybill number or login using your unique username and password. It’s a fast and efficient way to make sure your order is on track and where it should be. This service will allow you to keep your own customers up to date on the progress of the shipment, helping to compliment your own customer services. If you would like to learn more about the benefits of choosing Royale International for your courier needs simply visit our website or contact your local offices for assistance. It’s that time of the month where we like to remind you of the excellent special offers and deals for International overnight delivery and air freight. If you are interested in finding out more about any of the following offers please visit the Royale International Group website for information regarding the terms and conditions, or simply email: inquiries@royaleinternational.com. International courier routes heading from Hong King to South Africa. Includes Cape Town, Durban, and Johannesburg. Prices start from as little as HK$120. International Courier routes heading from Hong Kong to Australia. Includes Sydney, Brisbane and Melbourne (providing orders are collected before 12pm). Prices start from as little as HK$100. Economy air freight service from Hong Long to Australia. A customisable integrated courier solution with a 40% discount. These are just a sample of some of the special offers available. To see all of the offers visit http://www.royaleinternational.com/special.php. The disruption of the Olympic Games in London is coming to an end. During this time London has had it’s roads temporarily closed and cut off from usual access, making travelling in London a long drawn out process. During this time Royale International were concerned about the possible delays in international overnight deliveries arriving at 9.00 being slightly delayed. Thankfully with your support, our dedicated international couriers and our multiple services we have been able to survive in good standing. The Olympic Games are coming to an end on August 12 with the much anticipated Closing Ceremony drawing in the crowds. There will be a short respite in the affected roads however not all of the roads will be opened as usual until the end of the Paralympic Games that start on August 29. If you would like to discuss your air freight shipments to London or any of our global courier services with our team of friendly customer service representatives please contact your local sales office or visit the Royale International Group website for an easy to use contact form. If you are planning on using Royale International for the first time here are some useful tips to get you started. First of all choose your service. There are multiple international logistic services available ranging from local domestic couriers to international overnight deliveries and everything in between. Take a look at the Royale International Group website to discover which one will work best for your requirements. Check you have the address of where the product is going and feel free to use the useful tools on the Royale International Group website to establish if there are any public holidays due at the time you wish the item to be delivered as well as the volume weight and any customs and invoice forms you may require. Fill in all the paper work and remember to check the addresses for both your organisation and the recipient. Enter all of the information you’re asked for such as value and contents and if you have any questions the Royale International customer service team will be more than happy to help you. Make sure the item is packed safely in suitable packaging and has the address clearly marked on the outside. Once the parcel has been collected you can track the progress of the entire journey online, using email or via SMS. If you have any questions relating to using the International Couriers for the first time feel free to contact Royale International for assistance. If you follow the Royale International Group blog you will know that the International Logistic leaders mission is to make your life as simple as possible. One of the ways they achieve this is providing free to use tools that can help you with your planning, organisation and preparation. Some of the tools can be accessed on the International Couriers website. These include the volumetric weight calculator that will help you to work out the weight of your package and this can help you estimate the costs involved when it comes to shipping. There is also a currency converter so you can work out the exact costs you need to pay or the costs your customers will need to pay as well as a detailed list of the public holidays to help with your planning. There is also an online air waybill to pint off, e-billing and order supplies form so you can quickly top up on your supplies as and when you need to. These easy tools can help you but if you are unsure of anything the helpful customer service team are waiting to take your call, 24 hours a day. Many businesses are aiming to reduce their impact on the environment and the Royale International Group is no different. When you choose to partner up with the Hong Kong leaders in International Logistics you can be sure that you are using a company who takes their environmental responsibilities seriously. The Royale International has cut out the hub system choosing to make sure all shipments are sent directly to their destination in order to reduce air and road mileage. This alone reduces the amount of fuel required for each and every order and it also benefits the customer who can enjoy faster transit times thanks to the direct route. If you would like to make your shipments greener there are a few things you can do. A great place to start is by minimising the amount of packaging you use for each shipment, and making sure the packing materials can be recycled or reused to reduce the amount of waste produced. If you need to fill up your international courier packages in order to protect the contents insure the fillers are sustainable and that you still only use the appropriate sized packing materials for the size of the order. Royale International are proud to work alongside businesses in all industries located all over the world. The wide choice of international logistics services mean we are able to help all of our customers achieve the impossible. We also aim to ensure the entire life cycle of your shipments is kept running smoothly, is as simple as possible to make your life easier, and designed to compliment your business. One of the ways we achieve this is by providing an online inventory system which can be accessed 24 hours a day. Our warehouse and distribution service is provided by our expertly trained team. Your inventory will be kept up to date at all times allowing you to see all of the stock levels and distribution records in an easy to use online system, giving you complete visibility at all times. The warehouse and distribution service provides you with an accurate cycle count, picking and packing and a wide number of different international courier options ranging from overnight deliveries, door to door, air freight for bulk mail and more. If you would like to lower your marketing and distribution costs, have access to huge storage facilities as well as fully trained distribution and warehouse employees and gain access to live inventory system that's easy to manage please contact Royale International Group for more information. Royale International understand that sometimes you need things delivered in a hurry. They also understand tat you may have an unusual request, wish to have items delivered within hours and need a bit more flexibility when it comes to the international logistic services that are available. Royale International have become a leading force of international couriers in Hong Kong because they understand this fact. Not all businesses are the same, and therefore all of the services the Royale International Group can be customised to suit you. If you have a request, any questions or are unsure of the best way to achieve the shipment results you demand the team are ready to hep you with their expertise, experience and advice. If you would like to see how the international couriers are able to help your organisation with their logistics visit the website or simply call the hotline on +852 2218 5888 and they will be able to help you and provide details of your local Royale International offices. On a recent job the customer’s crucial document was delayed due to unforeseen circumstances going into Mexico and they were very upset so I spoke to them and in between my outdoor meetings I rushed to their office to explain the situation and our follow-up action. This helped to ease their mind and they were very appreciative of the extra touch of attention to their important business interests. I love listening to most genres of music, watching movies & spending time with the family. I get a weekly dose of soccer starting with training the kids and culminating with a good game with my soccer buddies over the weekend. Last but not least I watch my favourite team - Manchester United - Live in action on the Telly ('til I can see them at Old Trafford... live hahaha). It’s annoying how people driving in HK never give way if you want to change lanes. The moment they see your blinker on they will come speeding at you just to stop you from changing into “their” lane... like it belongs to them. The general demeanour of people outside work is quite unfriendly - hardly anyone smiles. It’s changing a bit these days but not soon enough. God grant me the Serenity to accept the things I cannot change, Courage to change the things I can & Wisdom to know the difference. I like my work environment in general and I am truly amazed at the professionalism, dedication and motivation adhered to by my Management - I find that truly inspiring. I also like the fact that my job allows me the opportunity to meet new people and make new friends and colleagues, some of who will hopefully remain in touch no matter how much time passes and which way their life takes them. I enjoy the empowerment philosophy followed by my bosses of allowing me the space to work while affording me the authority and responsibility together to be successful for myself and my company. How Do You Prefer to Track Your Shipments? When working with International Logistics it's important to keep an eye on the progress of your shipments. Some businesses like to ensure the service they've paid for is value for money, others want to check to see if everything is going as planned and some organisations will want to know that their shipments are where they should be in order to keep customers, clients and colleagues informed of progress. The Royale International Group provide their customers with a choice when it comes to tracking. You have the option of signing into your account online via the Royale International website. This is a great option if you wish to place new orders or request new packing materials. The email option is perfect for someone who is busy and simply doesn't have time to login to the website. Simply request information via email and it will be sent to your inbox. If you're on the go and away from your desk it's possible to have the details of your shipment sent via SMS to your phone. These choices allow you to track and trace any order you have placed with the international overnight deliveries experts. How do you prefer to keep an eye on your shipments? Royale International Provide Domestic Services Too! The Royale International Group aren't only International Couriers. When you need something delivered locally the couriers will be on hand to make that happen. As with all of the other International Logistics services provided you will find this to be flexible and customisable to meet your needs. The team are on hand 24 hours a day to ensure that all of your logistic requirements can be arranged quickly and efficiently. The domestic couriers include many different options such as next day delivery, same day services, road freight, and even special morning deliveries. It's even possible to arrange deliveries to arrive in the evening and at weekends. Royale International understand somethings just can't wait. If you would like to arrange a domestic order simply visit the website or contact your local sales representatives who will be more than happy to put the wheels in motion. Do you have a deadline to meet? Are you concerned about the ticking clock and whether the shipment is going to be there on time? The last thing any business wants is to miss deadlines. It can lead to a number of problems including lack of trust, lost revenue and a harmed reputation. That’s why it can be a relief to have the international logistic leaders Royale International on your side. The Time Critical Service is just what it sounds like, time critical. If you have to have a special document delivered by 9am the following morning this is a service to choose. Whether it’s documentation, a vital piece of clothing for a runway show or that make or break sample you need to seal the deal simple contact the Royale International Group and request this excellent courier service. You will be provided with a fast turnaround from collection to delivery which is available seven days a week throughout the entire year. Expect time specific international delivery guarantees and gain access to thousands of daily flights heading all over the world. Visit the Royale International Group website for further information or speak to your local sales representative.